If you have ever had a toothache, you know that the unique pain is something that you never forget. Of course, you want to promptly see your dentist in the event of any tooth pain, but if you need to wait for whatever reason, there are ways to cope in the meantime. 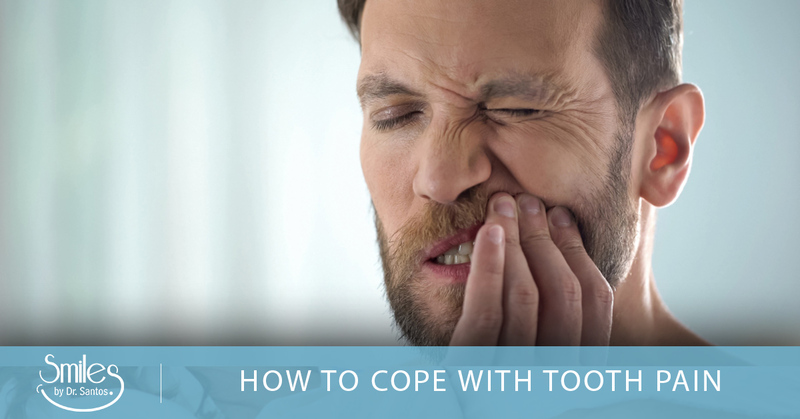 Here are some tips for coping with tooth pain before you come in to see your Manahawkin dentist. Each of your teeth contains a nerve, an artery, and a vein. These are the parts of the tooth responsible for sensation in your teeth, such as when you drink something hot or cold. These are also susceptible to inflammation. Certain bacteria in the mouth release acids that wear down the enamel of your teeth. When they pass through the enamel, they get to the dentin, the inner structure of your teeth. Dentin is a soft, sponge-like substance that cannot fight against bacteria as well as enamel. When bacteria gets into the dentin, it inflames, which leads to tooth pain. When you are injured in another part of your body, such as your foot, your body responds with inflammation and it swells. However, because the dentin isn’t surrounded by soft tissue and is instead covered by enamel, there’s nowhere for the swelling to go, which causes the very specific type of pain we experience in our teeth. Both tooth decay and cavities are infection of the dentin. The worse the infection, the worse the pain. Let’s say you get mild tooth pain every once and awhile. Chances are, this isn’t due to a cavity, but to root sensitivity. Does this pain tend to happen after you eat sugary foods? It’s very likely that it’s root sensitivity. The root of the tooth is sensitive to ions, and sugar is an ion. In contrast, cavities are usually painful when exposed to hot or cold. Root sensitivity occurs when the dentin in your tooth is worn. This happens commonly when you consume a lot of acidic foods. Root sensitivity is uncomfortable, but it isn’t life-threatening, so it doesn’t need to be addressed immediately. Though you want to talk to your dentist about any tooth pain you experience, it’s not always an emergency. However, some are, so it’s important to recognize the difference so you can respond appropriately. As mentioned above, root sensitivity isn’t an emergency. If you feel some pain on Saturday and can’t get to the dentist till Monday morning, you should be fine. However, pulpitis, an infection of the pulp of the tooth usually caused by decay, damage, or a cavity, must be treated as soon as possible. It may result from less blood flow to the pulp, which will then require a root canal or tooth extraction. This is especially important if you have recently gotten dental work done, as this can cause pulpitis. If your pain is mild and comes and goes, generally when you eat sugar or drink hot beverages, take note and make sure to bring it up at your next regular dental appointment. For moderate to severe pain that lasts longer than a day, it’s time to immediately see a dentist. If your toothache is severe, comes with fever or swelling, or your face has fallen, it’s an emergency. See us for emergency dental services or go to the emergency room. If you have determined that your toothache is not an emergency, you have options for at-home treatment while you await your dental appointment. The most important thing for a toothache is to control the swelling. That’s why you want to use an anti-inflammatory drug, such as ibuprofen. Try using the 3-3-3 method: taking 3 ibuprofen, 3 times a day, for 3 days. Make sure to keep taking it even if you start to feel better, as the goal is to reduce inflammation in addition to the pain. In addition, you may ice the area, keep your head elevated, and rinse with salt water three-to-five times a day. While these home remedies do not act as a substitute to dental care, they may help you in the interim. At Smiles by Dr. Santos, we are happy to help you with any dental problem, including tooth pain. Contact us when you need the best dentist in Manahawkin!